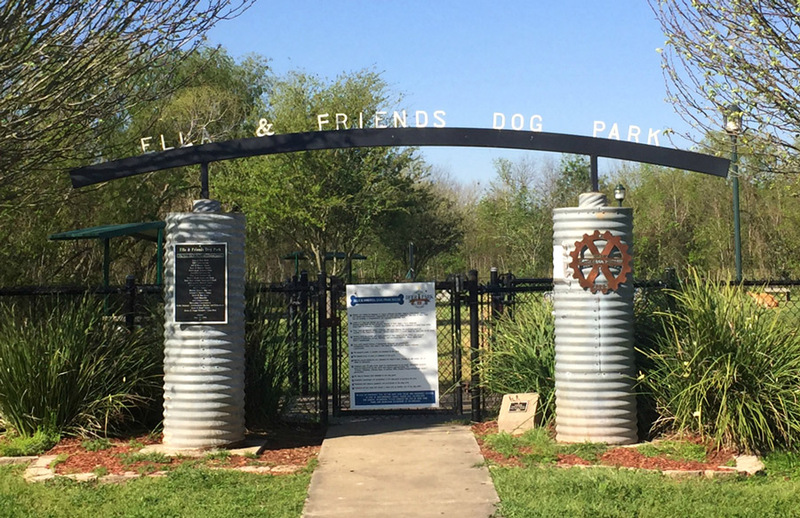 Did You Know T&T Was Behind One of the First Dog Parks Houston Ever Built? When you think about T&T Construction, what comes to mind? Foundation work? Machine bases? Our volumetric mixers? Any one of those would be a perfectly fine response. In fact, projects like those make up a majority of what we do. But our crew enjoys keeping things interesting. We jump at the chance to tackle out-of-the-box projects — especially those that allow us to get creative or make a difference within the community. One great example is our work on the Ella and Friends Dog Park, one of the first dog parks Houston ever saw. An older project — the park reached completion in summer 2006 — Ella and Friends was a partnership between T&T and the Deer Park Rotary Club. At the time, T&T President Ryan Taylor was the club’s president, and the idea of a dog park was so new a concept that the City of Deer Park had never heard of them. Following a detailed presentation which not only laid out what the park might look like, but what we could do to make that vision a reality, the city took to the idea. Before we knew it, our crew was getting to work on what was, at the time, an empty lot off Deer Park’s West 13th Street. The finished product is something our team is still proud of, so many years later. The 1.5-acre park has everything a pooch — and its owner — might need, from protective fences, to covered shelters, water fountains, sandboxes and, of course, fire hydrants. We incorporated a subtle bit of T&T into the mix, as well. Both the entryway and the benches throughout the park are constructed from molded concrete, our building material of choice. Have a project you’d like T&T’s help with? Even if it is a bit outside your run-of-the-mill work, we would love to talk it through. Feel free to get in touch! We promise a team member will get back with you soon. © 2019 T&T Construction. All Rights Reserved.